Need Termite Removal In Perth? 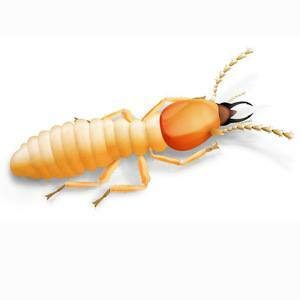 Of all the pests found in Perth, Termites are the most feared and cause the most damage. They cause more damage than storms, fire and floods put together and no insurance policy will cover termites. You need termite removal in Perth as soon as possible! Homeowners mistakenly believe that by having a concrete floor, the risk of termite infestation is minimal. On the contrary, termites are attracted to concrete slabs because of the moisture underneath. Once under a slab, termites will search for cracks found in expansion joints, the slab itself especially around renovations and extensions, bay windows, gaps in sunken floors or penetrations such as service pipes that typically are around bathroom vanity units and kitchen cupboards. When Masonite or untreated pine is used on these areas, the risks are even greater. Homeowners often find termites in their sheds, especially those which have 2×2 slabs, where the termites are feeding under cupboard boxes. Woodpiles are another common area to find termites. Because termites are associated with moisture, homeowners are advised to rectify leaking pipes, rusted gutters, rising damp and any areas where water may accumulate for long periods over surfaces. Perth is home to the notorious Coptotermes species which is the most destructive in Australia. Whenever termites are found, or you may even suspect having them on your property, please call Termipest and we will arrange a FREE 68 Point Evaluation. We have a range of treatment options to suit your needs from Barrier Treatments to Baiting Stations.